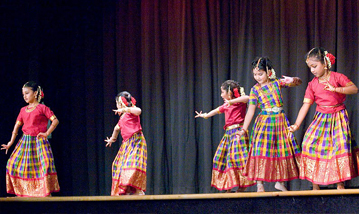 There are a number of musicians and instrumentalist who provide the musical accompaniment. 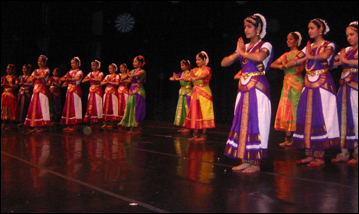 Typically there is one or more vocalist, a person reciting the dance syllables, and a mridangam, Veena, Flute and violin. 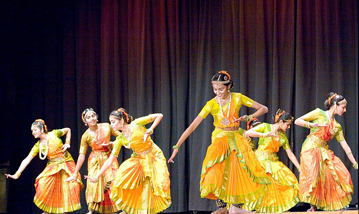 Accompaniments play a major role in the making of a memorable dance performance. 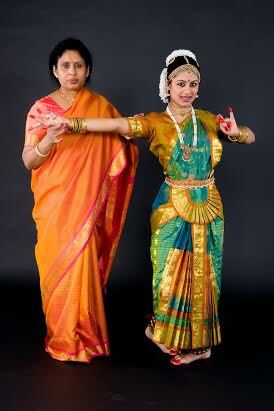 Basic accompaniments are a Singer, Mridangam player, Violin player and ofcource the Natuvangam. 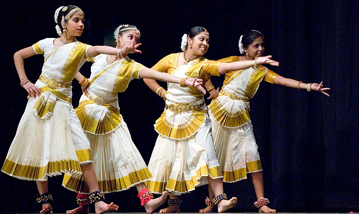 Veena, Flute and other instruments are optional. 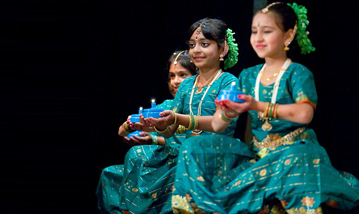 Bharatha Kala Nrityakshetra is a school to preserve and teach the Kalakshetra style of Bharathanatyam in the United States and abroad.